An iconic silhouette that dates back to 1981, these Diadora B.Elite sneakers in white & gold combine classic tennis styling with contemporary casual appeal. With it's legendary form of contrast and style this version boasts a white full grain leather upper with contrast gold leather overlay detailing to the sidewall and heel giving the model a pop of colour. 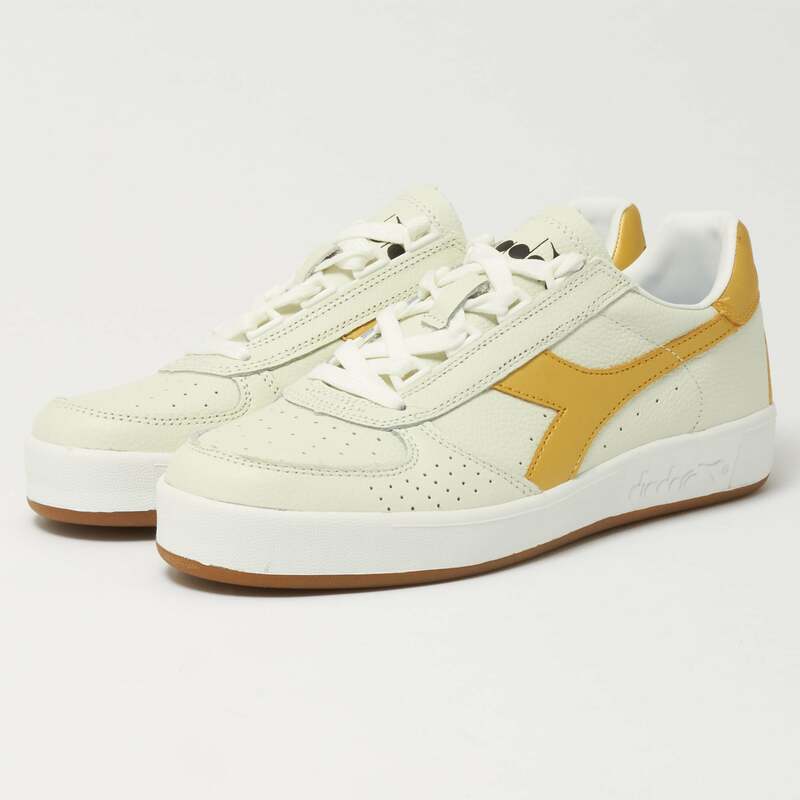 Sitting upon a cushioned in sole and gum rubber outsole this footwear essential is completed with Diadora branding to the tongue and heel whilst perforations throughout the upper at to the silhouettes breathability.